Few colleges pursued John Stockton when he played at Gonzaga Prep, and son David drew even less interest from recruiters while playing for the Bullpups. When Gonzaga University added David as a non-scholarship player, it was widely viewed as a favor to his Hall of Fame father, the greatest player in GU history. 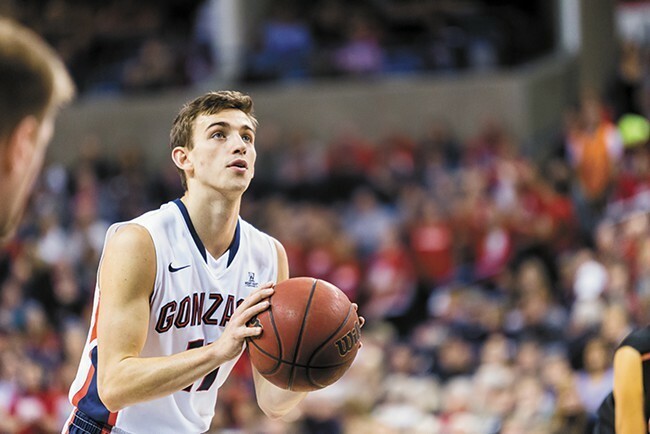 While David Stockton never approached his father’s skill level, he did develop into a rock-solid point guard at Gonzaga. His hard work and talent earned him a rookie contract with Reno in the NBA Development League this season, and on Friday morning, Stockton was called up to the NBA by the Sacramento Kings. “This is a testament to Stockton’s work ethic, and I am very excited for him to have this opportunity,” Reno coach Dave Arseneault Jr. said. Stockton is expected to be in uniform tonight in Sacramento when the Kings take on the Boston Celtics. Kelly Olynyk, a former Gonzaga teammate of Stockton, plays for Boston. The 7 p.m. contest will not be televised locally, but some satellite TV systems in the area may be able to pick up the broadcast. Stockton has signed a 10-day contract with the Kings. Darren Collison, Sacramento’s starting point guard, is questionable due to a hip injury. The 5-foot-11, 165-pound Stockton ranks second in the NBDL with 2.4 steals per game, and he’s fourth in assists at 7.9. He’s averaging 16.6 points and shooting 46 percent from the field, including 36.4 percent on 3-pointers. Tonight marks the Sacramento debut of veteran NBA coach George Karl, a former Seattle SuperSonics coach.